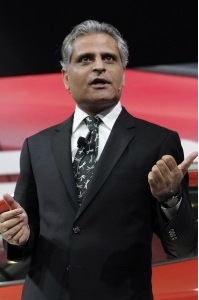 Kumar Galhotra, one of Ford's top engineers, was named President of the Lincoln Division today. Hopefully this is indicative of a new, positive direction at the beleaguered brand that many have on their list (along with Mitsubishi) of those next to disappear. What should be Mr. Galhotra's next moves? He should appropriate the 2015 Mustang's platform (which started life as a Lincoln LS anyway) and build a small to mid-size, rear-wheel-drive ultra-sporty halo car. Aluminum and even carbon-fiber intensive, with a twin turbo charged 2.7 V6 with over 400 horsepower. 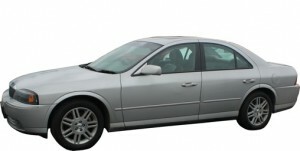 Luxury, performance, second to none with a price well below $70,000. Mr. Galhotra should not name it the "MK_" whatever, but something emotional, evocative and beautiful. If it had not so recently been sullied, Zephyr would be perfect. When asked if abandoning the confusing, generic present naming scheme, Mr. Galhotra should remain silent. But, yes. It needs to go. After the small sedan, a large, luxury sedan with a V6 ECOBoost hybrid powertrain, suicide rear doors, reinforced integral frame and the capacity to replace the defunct Town Car. Even bring back the name. The platform could be loosely derived from the Flex/MKT, but with a strengthened chassis. Next: a large, hard top convertible. This one has to have an uncompromising chassis-no flex allowed. And slick, quick operation of the top, remotely as well as from the car. Powertrain is less important here, but clearly, Lincoln needs more than one halo to pull itself from the present morass. Finally, one last piece of difficult surgery: Lincoln needs to lose about half of its dealers. Any dealership that is not able to run a clean, professional luxury outlet will have to get along on Ford alone.